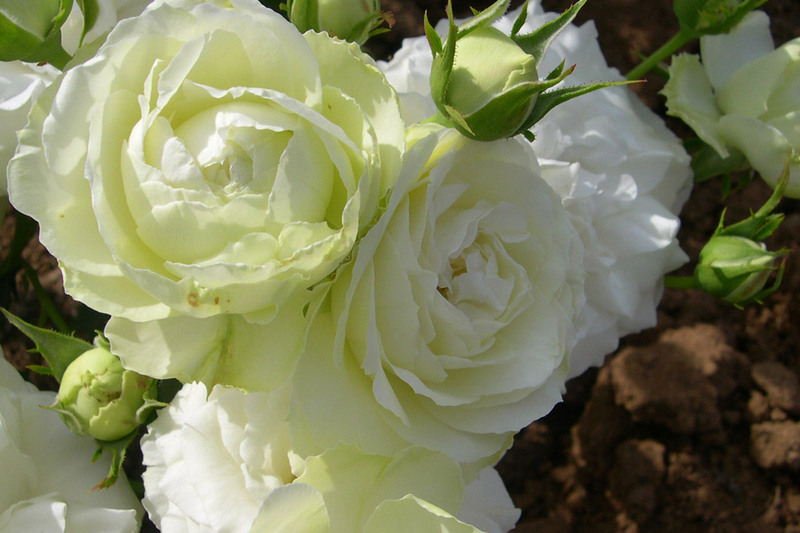 A bright sport of the ever popular Pierre de Ronsard. 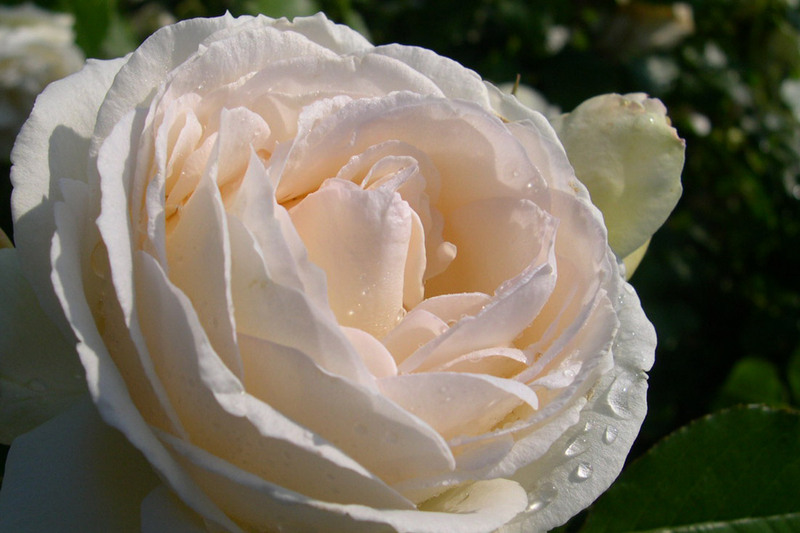 Beautiful old fashioned creamy white flowers are petal filled, bloom constantly and carry an airy classic rose scent. During cooler weather the blooms often retain a delicate light pink hue. The foliage is lush, glossy deep green and abundantly healthy. Ideal for covering arches, pillars, pergolas and will grow well in a large tub. 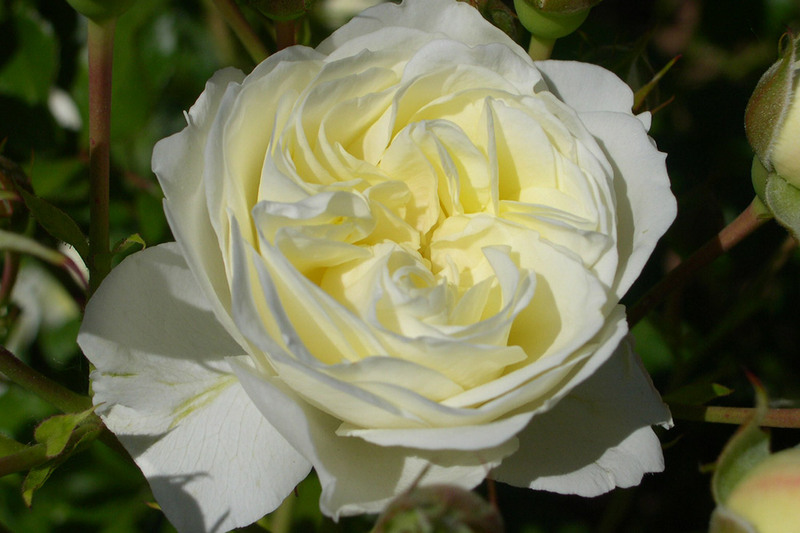 This climbing rose is a true masterpiece.